Owner, designer, and creator of the Triple Cross Couture Collection, Michelle Pawlik Ender, has been the driving force behind her designs since age 16. Michelle’s unique sense of style is evident in every hand crafted item. Triple Cross Couture has been showcased in several boutiques throughout South Texas. Triple Cross Couture Collection originally only featured custom jewelry but recently expanded, along with Michelle’s family. I enjoy wearing hair bows every now and then, because they easily incorporate in my fun, girly, and quirky style. Anyone that knows me well knows that I adore anything frilly, pink, lacey, or pretty! 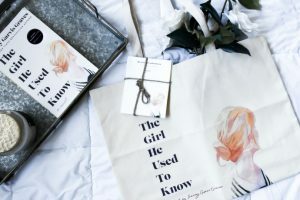 Therefore, I was excited when Jordan Jefferies Collection Online Boutique recently contacted about their new collaboration with Triple Cross Couture Collection. 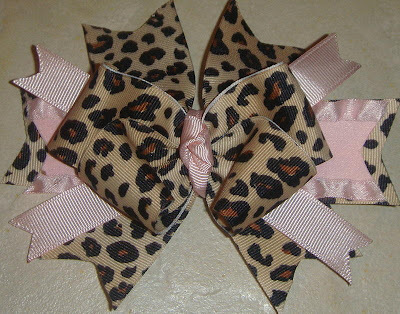 For my review, I selected the two Bowtique Bows, Cheetah Girl and Baby Cheetah (both are $12.50). I was not the least disappointed with either selection and recently donned the the Baby Cheetah, which attracted a lot of attention. These bows are individually designed, so each one will carry it’s own unique flair. All bow are made with a whimsical ribbon and have a little bit of bling or other adornments. You’re able to choose attachment types (headbands, clips, or barrettes). The selection of styles include everything from animal print to “back to school”, and all other things in between. Custom orders are welcome. These are a perfect accessory for you or the little princess in your life. Each Bowtique Bow retails for $12.50 each.